We’ve had the opportunity to reach out to the author and realize a quick interview to get to know more behind the production of Developing Minds. 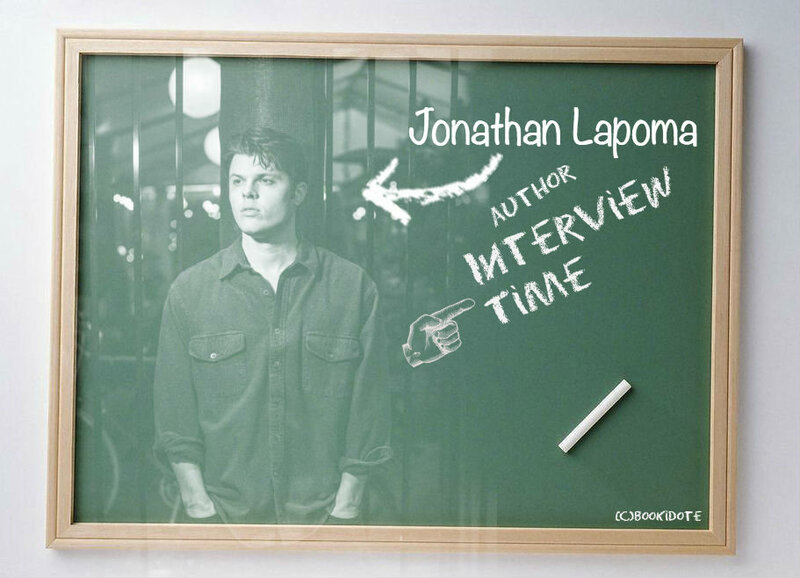 We’d like to thank Jonathan Lapoma for taking his time to answer our questions and for giving us some of the most interesting responses ever. We’d also like to wish him the best of luck in his future projects and in his teaching career. 1. Thank you for allowing us to feature this interview on our blog. To kick this off, tell us a little about yourself and your background. I’m an award-winning novelist, screenwriter, songwriter, and poet from Buffalo, NY. In 2005, I graduated from the State University of New York at Geneseo with a BA in history and a secondary teaching credential, and in the ten years since, I’ve taught in over fifteen American public schools as either a substitute or full-time teacher. I’ve been writing for about fourteen years, starting with poetry and songs, then novels and screenplays. I’ve written two novels, seven screenplays that have won over forty awards/honors in various screenwriting competitions, and hundreds songs and poems. My work often explores themes of alienation and misery as human constructions that can be overcome through self-understanding and the acceptance of suffering. I currently teach at a secondary school in San Diego, CA. 2. What got you to sit down and actually create something, to write a novel? DEVELOPING MINDS is my second novel, so I had some experience with writing one. In 2009, I finished writing a novel based on my experiences living in Mexico for about five months after I graduated college. I was severely depressed and in a really bad place, but something about Mexico seeped inside me and made me chose life. When I finished writing the novel, I thought I’d said what I’d wanted to say about life and my experiences with it. But, in July of 2012, I took a road trip to Big Sur, and on the ride up the Pacific Coast Highway, I got to thinking about my experiences teaching at an at-risk middle school in Miami in 2007—and the personal, professional, and creative growths I had there—and realized the story wasn’t over. I started writing it almost immediately after I got back to San Diego, and finished the first draft in about a month. DEVELOPING MINDS is a sort of a loosely-linked sequel to the Mexican novel, UNDERSTANDING THE ALACRAN, and it shows the protagonist’s growth while trying to fit into society after returning from Mexico. My intention with DEVELOPING MINDS wasn’t to demonize teachers or the public school system—I simply wanted to show a portrait of these as true to my experiences with them as possible, while showing how these experiences affected the main character’s maturation and eventual transformation as a writer. 3. Developing Minds deals with so many different themes. Where did you get your inspiration to write about a new teacher, a new school? I am a teacher, so many of the situations in the novel were inspired by my own experiences, or those of other teachers I know. Being a new teacher is extremely difficult, and I experienced quite a range of emotions in that first year. There were some great “break through” moments where the students, or even I, learned something new or saw something from a different perspective. But there were significantly more terrible moments where I couldn’t imagine spending another minute as a teacher. I wanted to let readers experience this range of emotion through the events of the novel. Teaching is an extraordinarily difficult job, but many people still diminish the hard work of teachers and other school staff. I’m hoping that, by reading this novel, people will have more respect for teachers and the struggles they face on a daily basis. Yes, I would say that I relate to the main character. The mid to late twenties is a trying time for a lot of friendships. People spend most of the first twenty-two to twenty-three years of their lives crammed inside of schools, where big groups of people study, and eat, and hang out, and play sports together. But once people graduate from college, they break away from this protective system, and many start to develop interests that are different from the groups they’d spent so much time with previously in school. During the mid to late twenties, many people struggle to find themselves emotionally, professionally, and creatively, and during this maturation process, it’s not unusual that people may make entirely new groups of friends. Some people refuse to grow, and may even get angry at those around them who start to develop new interests and friendships. I think this is understandable—watching the people around you grow when you yourself are too afraid to can be extremely scary. But at some point, everyone needs to take responsibility for their own lives. If you refuse to grow, you can’t blame other people for leaving you behind. We see Luke starting to grow like this throughout the novel. When he moves to Miami, he’s just as self-destructive as his friends, but as the school year progresses, and Luke begins to grow, he slowly starts to leave his friends behind. He’s on a journey to become a writer, and even though some of the people around him are just as, if not more, talented than he is, they aren’t able to fully realize this talent because they refuse to grow themselves. I’m glad you mentioned that you saw the association with the title and the main character’s journey. I absolutely did write this title to have a double meaning: on one hand, it means that the teachers are helping the students to grow and develop, but on the other hand, the title refers to the fact that the teachers themselves are still developing. 5. There is so much details about Miami, Cuban and Latin culture. Did you ever live there or is it just the result of many research ? Yes, I did live in Miami for about a year, from the summer of 2007 to the summer of 2008, and before that I lived in Mexico for about five months. I’ve had a passion for Latin culture since taking my first Spanish class in 6th grade. Something about it seemed powerful and comforting to me, even at a young age. I moved to San Diego, in large part, because I wanted to live in a city with a strong Mexican influence. Suffice it to say, Donald Trump and I don’t have similar views on Mexicans. 6. What was the hardest part in writing this story? I think the hardest part was packing in as many horrors of teaching without making the story too heavy and dark. 7. What do you think about our current education system? I think it needs a lot of help, but the blame for the failures needs to go in the right places. Blaming teachers or citizens living in impoverished communities for these failures, however, is like blaming weight loss for causing stomach cancer and not the other way around. Blaming the symptom instead of the disease is not only foolish, but harmful. Education reform needs to start at a national level, and until we start blaming the income inequality gap, systemic racism, etc… for these problems, we’re going to continue to be plagued by them. 8. Since you’re a teacher right now, what books have you suggested your students to read and why ? I’ve recommended several books to students, but only when I know the students well enough to do so. I wouldn’t recommend a book that has protagonist suffering through drug addiction if I know this issue is close to the student and may affect them negatively. I’ve recommended the following books, mostly because they’ve helped me through difficult times and have helped me to gain a better perspective on the world: On the Road by Jack Kerouac, The Basketball Diaries by Jim Carroll, The Prophet by Khalil Gibran, The Catcher in the Rye by J.D. Salinger, One Flew Over the Cuckoo’s Nest by Ken Kesey, Night by Elie Wiesel, among many others I can’t think of right now. 9. As you can see, back to school isn’t around the corner anymore. It’s starring right in our face ! What advice would you like to share with the students who are going to high school this year? I’d say, take this opportunity to try to improve yourself in one specific way. Maybe you want to try to develop better study habits, or social skills, or you want to learn a new language or musical instrument. It’s never too late to grow and develop new skills. At the start of every school year, I try to think of specific ways I can improve as a teacher. One year I decided to work on ways that I could communicate better with parents, and now, years later, that’s something I feel very comfortable with. I wouldn’t recommend trying to do too much, however. If you decide that you want to master ballet, the tuba, and French all in one year, those goals are likely unrealistic. But if you can set one specific, and achievable goal, you can probably learn that new skill. This will help build your confidence and soon, personal growth will be something that starts happening on its own. 10. What is success for you? An absence of fear. Fear is the blocker of creativity, and peace, and love, and so many other of the good things that make life worth living. I believe success is the freedom to try new things, to express yourself in new ways, and to master current skills, without fear there dragging you down. I don’t see “success” as something that can be quantified in any specific way. There’s no dollar amount that can determine it. It’s simply a feeling that stays with you and builds and radiates the more you allow it to. I already feel like a success. I’ve faced many of my biggest fears, and as a result, I feel closer to myself and the people and world around me. If I sell a hundred books or a million, I’ll feel equally successful either way.